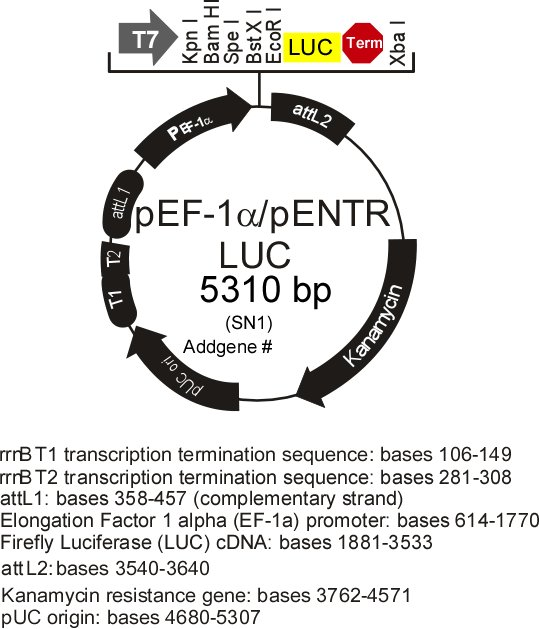 Firefly luciferase was derived from pGL3 plasmid (Promega). 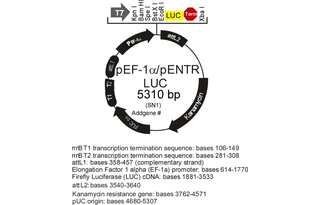 EF1a promoter was derived from pTracer-Bsd plasmid (Invitrogen). Vector made by Stefania Nicoli (University of Massachusetts Medical School).